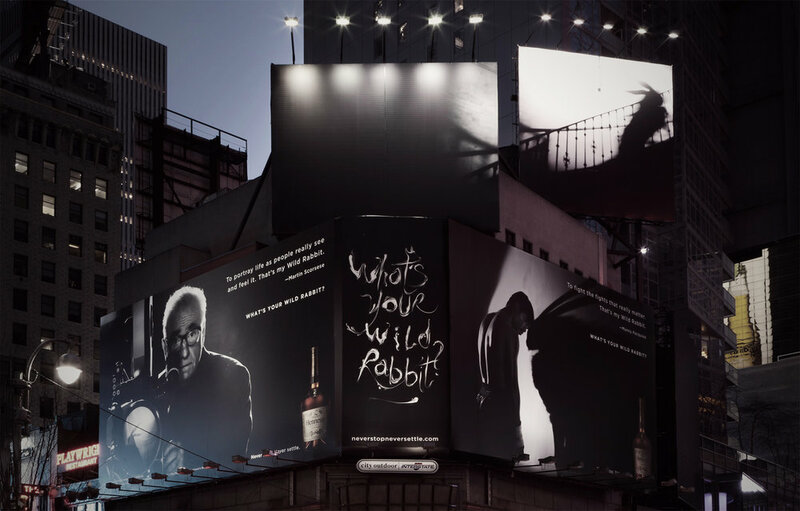 As part of an integrated launch campaign for Hennessy V•S, neverstopneversettle.com was an immersive journey down an infinite rabbit hole leading users to a world of inspiration from Manny Pacquiao, Erykah Badu and Martin Scorsese, helping them answer for themselves, "What's your Wild Rabbit?" a metaphor for people's inner drive to succeed. At the time of it's launch, it was an unparalleled example of digital storytelling and web design. Agency: Droga5 New York / Client: Moët Hennessy USA / Creative Chairman: David Droga / ECD: Ted Royer, Nik Studzinsky / CD: Joakim Saul, Maja Fernqvist, Neil Heymann / Creative: Andrei Khashan, Felix Richter, Georges El Ten, Alexander Nowak / Head of Integrated Production: Sally-Ann Dale / Executive Producer: Lindsey Slaby / Senior Producer: Maggie O'Brien / Head of Strategy: Jonny Bauer / SVP, Marketing: Rodney Williams / Director of Digital Marketing: Montana Triplett / Digital Production and Sound Design: RESN / Typography: Craig Ward.